Existing Customers: Save 30% On Your First Holistic Select Auto-Ship Order. New Customers: Save 30% On Your First Holistic Select Auto-Ship Order. Holistic Select is a leading supplier of holistic, natural pet food products. For more than 10 years, Holistic Select has been involved in formulating highly-digestible recipes with a unique digestive health support system. We’ve accumulated a comprehensive list of verified Holistic Select coupons that can be used online. Occasionally, we will post special Holistic Select printable coupons which can be used in-store. What Type of Pet Food Does Holistic Select Produce? Holistic Select manufactures pet food which utilizes a unique digestive health support system. This system involves the use of pre and probiotics, natural fiber sources, digestive enzymes, and digestive botanicals. In addition to the digestive health support system, Holistic Select includes natural healthy ingredients to create complete and balanced pet food recipes. 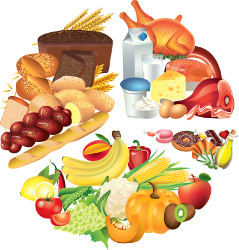 The strong focus on ingredient quality and digestibility are the two key areas of differentiation for Holistic Select. For dogs, Holistic Select offers dry and canned food recipes. Most of the formulas are designed to target a specific life-stage, breed size, body condition, and activity level. For cats, Holistic Select offers several dry food recipes and wet canned food recipes. As with dog food recipes, the cat foods are designed to target specific body conditions, activity levels, life stages, and other lifestyle characteristics. Where Can I Buy Holistic Select Pet Food? Like other holistic pet food brands, Holistic Select is available exclusively at local independent pet stores, independent regional chains, and select online retailers. To locate the nearest store which carries Holistic Select pet foods, use the Holistic Select store locater. If you are shopping online, you can purchase Holistic Select from the following retailers: Amazon.com, Wag.com and PetFlow.com. Our recommended retailer is PetFlow because of its superior selection of Holistic Select pet foods. How Can I Save Money On Holistic Select Pet Food? 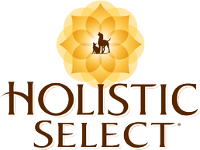 You can save money on Holistic Select by using the Holistic Select coupons provided on this page. We search and verify each coupon to ensure that our users have a seamless shopping experience. Printable Holistic Select coupons are posted whenever they are available. These type of coupons are typically harder to find for truly holistic/natural pet food brands. However, they are occasionally offered and therefore we encourage our users to visit this page on a regular basis. If you rather shop online, we have amazing coupon codes from the best Holistic Select retailers. You can use these Holistic Select coupon codes at checkout to instantly save money on your next purchase. Online coupons are much more common for Holistic Select. Therefore, if you'd like to saving money on a regular basis, online shopping is the best way to purchase your pet’s food. Holistic Select is part of the WellPet portfolio of pet food brands. The brand was established more than 10 years ago to provide an entirely new line of holistic pet food. Holistic Select is different from other WellPet brands mainly because of the emphasis placed on digestive health. Beyond the digestive health system, Holistic Select shares many of the same quality displayed by other WellPet brands. In general, WellPet brands are considered high-quality and premium pet food brands. Holistic Select certainly falls into this category. Here are some of the other brands in the WellPet family. Holistic Select offers a wide variety of dog and cat food products. The brand is owned by WellPet which also owns the following brands: Wellness, Old Mother Bubbard, Eagle Pack, and Sojos. The brand offers dry food, wet food, and treats for dogs and cats. Holistic Select products are sold by online retailers and independent pet stores.